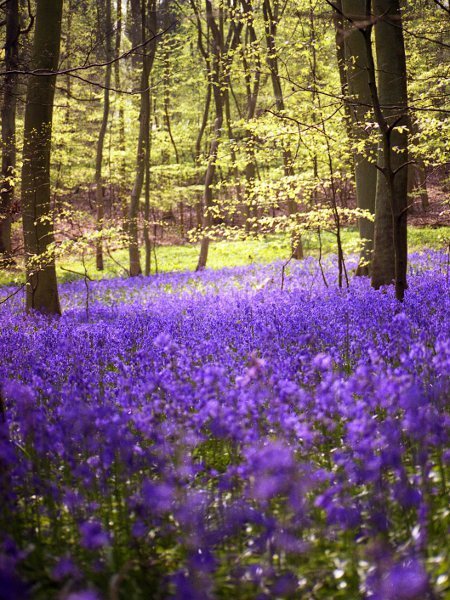 Hyacinthoides non-scriptus can form brightly coloured carpets in British woodlands in springtime. 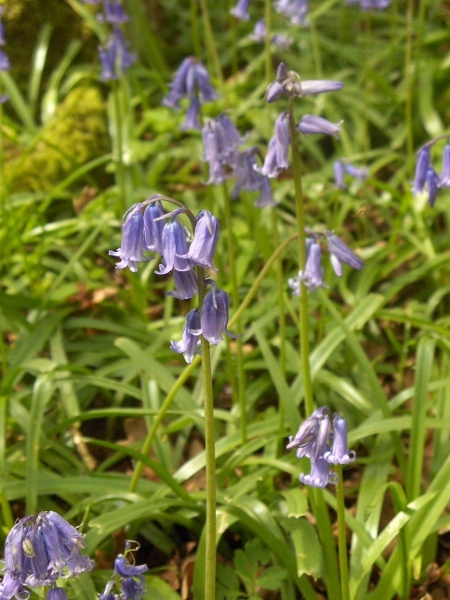 Pure Hyacinthoides non-scripta has one-sided, nodding racemes of flowers. 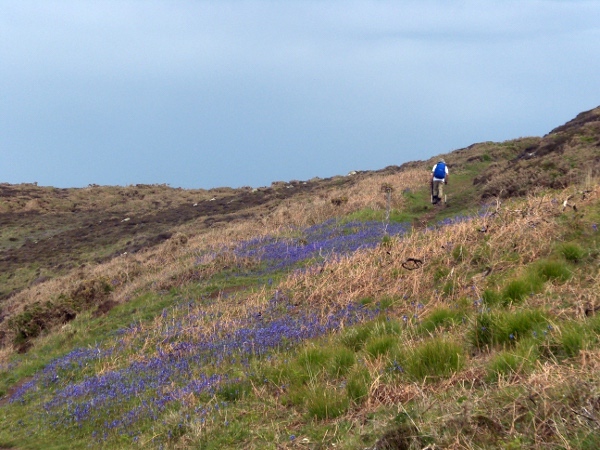 In northern and western parts, Hyacinthoides non-scripta grows in more open settings, especially close to the sea. 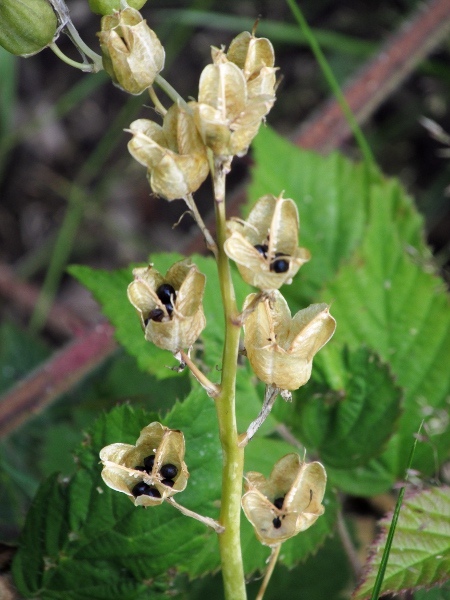 The seeds of Hyainthoides non-scripta are borne in papery, three-valved capsules.